THE WRITING BUDDHA - Opinions | Books | Movies: Your chance to get PUBLISHED in an UPCOMING NOVEL!!! 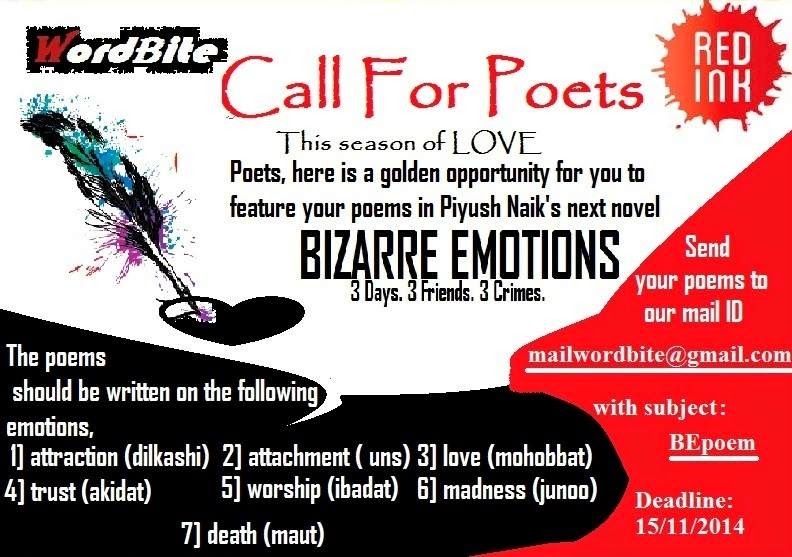 Your chance to get PUBLISHED in an UPCOMING NOVEL!!! The poems should be written on the following emotions.